See more information and photos of Amazing Sunshine Holidays or Send Message. Amazing Sunshine Holidays – Amazing 10 day private tour of Sri Lanka! Amazing Sunshine Holidays – Best driver and guide in Sri Lanka! Amazing Sunshine Holidays – The most amazing adventure! 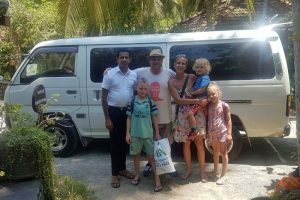 Amazing Sunshine Holidays – Best ever journey with the Best Driver Shan. Don’t think twice.